Chapters From My Life: Can We Ever Say, “I Can Quit Now”? Fifteen years ago, when I was waiting for the Biopsy reports of the lump I had found in my left breast, I was worried leaving behind my children and dying. Unfortunately, it turned out positive for breast cancer, III stage, and 10 positive nodes. With treatment which involved surgery and chemotherapy I survived. 8 years later I went through another scare of recurrence with a scar tissue hardening up on my operated site. My children had grown up by then, but the fear of leaving them behind and dying still lingered in my mind. I did not discuss it with them and they did not know anything about this. The reports came back saying it is negative for cancer. 13 years later, a lump was found in my right breast and I worried again about leaving behind my children who were teens now. They did not know much about it because again I thought let me find out first and then let them know. It turned out benign. Last month, a polyp was seen in my digestive system. Doctors said it looks sinister and should be removed to be sent for testing immediately. Could it be cancer, the fear came back again, to my surprise again I found myself being worried about my two kids, ooopppsss sorry, they are grown up young people now. So correction, I found myself worrying about my youngsters again. 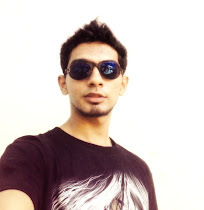 Rayyan is not even living with me anymore, as he is doing his animation in Bangalore and staying in a PG. Farheena is still the same kid and needs me and that doesn’t seem to change ever. I did some introspection and checked out myself; whether I was just holding on to the kids as a reason for my own instinct to survive and live. We humans are known for our eternal quest for long life and eternal youth since ages. Somehow I feel it is the kids who are motivating me to fight better. Both Rayyan and Farheena responded in two different ways to my hospital experience. Farheena was very nervous and on the edge most of the time. Every time I coughed, sneezed or even turned to change sides while sleeping, she would ask, “What happened Maa?” It was sad to see her worry so much. She did not sleep the whole night prior to my surgery. Whenever she heard a tiny sound from my side, she would be alert and wanting to know whether I was all right. The hospital must have scared her a little more. With no option left this time around, I had to take both of them with me to the hospital. Rayyan on the other hand, was the rock of support for both of us. He had a storm churning inside him, I could sense his concern and worry but he tried very hard not to show it to anyone. He took great care of Farheena and was there handy for me whenever I needed something. He never asked anything or talked about anything. But if I had to say something he was all ears and listening without throwing much advice. Both their response wrung my heart. I think they suffered more than me all through this ordeal. The way things are going nothing seems to be changing soon. So maybe for years and years to come I will say the same thing, I am afraid to leave behind my kids and die. I don’t see when I will ever be ready to quit. I say may be it will be good enough when Rayyan is married and settled down with his family, but then I may find some other excuse. Life is never going to be smooth and I would want to be there to clear bumps for my children even when they are sprouting grey hairs. We can never say ‘I am ready to quit now’. That is human nature. I finally sat down today morning and thanked God for the life he had granted me after my BC experience. It thanked him for allowing me in bringing up my kids up the way I wanted them to be brought up; keeping them away from violent behavior, bad habits, swearing words, addictions and narrow mentality. I wanted them to be kind, gentle and humane in their life and they are. The time I spent with them has been wonderful and they have made me very happy. I thanked God for allowing me to get closer to myself and know, understand and discover the person I am meant to be in a better way. Today I see myself as a much better human than I was during my pre cancer days. I thanked God for allowing me a chance to correct and improve myself. I may not say I am going to quit now but I can be strong enough to face life or death without complaints anymore. If I go on finding reasons to complain than I am going to have it always handy forever. No matter what happens, it will never be enough. Somewhere I have to stop and be grateful for what I have received in that past few years. Wonder how come I talk about TV serials without having a TV at home? I was hooked to KBC and connected to it through internet. This serial plays right after it and Farheena got hooked to it. Farheena loves watching Priya and Ram Kapoor, therefore I do watch it with her in between. She loves to watch the antics of Sheldon in ‘The Big Bang Show’ too, that I love watching along with her. 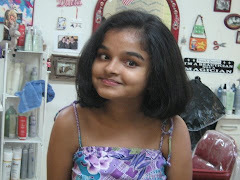 Anyway Farheena made me realize that cancer or survival of it is not as glamorous as media shows us. In real life there is silent suffering. Not the wish list and people waiting to fulfill it. Sigh! PS: A note to all bloggers who tagged me in awards or some other activity. I am sorry that my brain was not good enough to respond to your honor. I was exhausted and tired. Still recovering but I think I can occasionally write a post and read few at the moment. Sorry Guys. read it fully, its all about fighting. 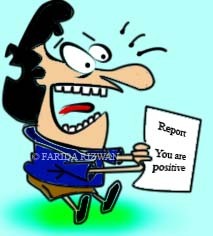 Hey Farida, your life is an inspiration in itself... It's not how long you live that matts...it's how you live...and you are one of the best examples...it's ure your kids will agree ith us too. As it is do not worry at all...you have a very long innings to play yet...once Rayyan is married, you shall have to train his wife to be a good wife,a proper daughter in law, and then you still have to get Farheena married off!!! So much to do, so obviously you have lots of time...don't worry at all...just be happy..and be as you are, special. And pleas don worry about the awards and such...it's was a honour just tagging you. My brain was lost in maze for past three weeks.. I have messed up almost everything. Thanks for the tag anyway. Get well soon...Relax, write whenever you feel like and inspire us. Farida, you are right.. No matter what pops up in our life to trouble us and fill us with fear, your kids are showing you every day that they have modeled your example and learned so much about dealing with life's challenges. I always, always remember our talk about fear the day we walking together in Disney, of all places to be having such a serious conversation. But I was changed by that talk. And I have taken it with me and keep it close by when I need it. It's like carrying a little part of you in my pocket and pulling it out with a tender pat of reasurrance. No, you will not give up now, and yes, especially with the scares you've had since first dx, there is a God who is watching over you and knowing that you are too valuable to not only your children but many others. So I am glad you have become acquainted with yourself once again, and become introduced to the Farida who sees her blessings and having that recognized by Farheena is a blessing in iteslf. Not to mention Rayyan and his manly kindness and concern and responsibility. Look who has brought him to that place!! (That would be you, my dear..) so nice to know you, sweet friend.. you are much loved by many more people than you might ever have thought! Deb, It was great talking to you that day and I myself remember that chat so very well. I can almost hear your voice making the imitations of my various mood. You were an amazing mimic LOL. Though cancer is a curse, I have known so many amazing people through it, and received so much of love from the ladybirds that I have stopped hating it for myself, though I still hate it for snatching away my loved ones from me. Thanks for that wonderful comment and the lovely friendship Debbo. 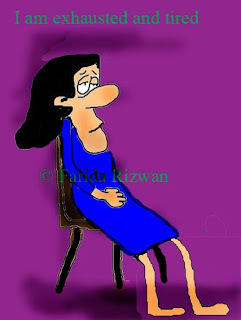 Farida, follow your treatment and leave the rest to God. It's Him who decides the next step in life and not those reports. Your BC history itself is a proof for it. I suggest you relax well. Then try getting back to your routine at the earliest and you will start feeling much better. My prayers. All the best with the treatment and I am sure all will be fine. you are right in saying its not just us but others around us too who go through a lot of pain, I remember although mine was nothing so serious, one of the day I got stabbed and it was not just me about people who went through a lot of it in those days. Both the kids have been doing great , god bless them lots of love and hugs to them for being such lovely humans. Life is funny and plays lots of tricks on us, it is up to us how we deal with it and when we have people who care and love us it helps a lot to get through all the hardships. And why do you talk of QUIT, no no no , we should never quit EVER, let life put all the obstacles , NO worries, we will be strong enough to wade through all those obstacles.. and you got such lovely people around you to help ..
Just take care of yourself and keep smiling and be happy .. rest will all take care of itslef ..
and regarding the little PS to all bloggers dont be sorry, you take your time, ALL IN GOOD TIME :) .. everything else can wait its not important.. Thanks. I don't want other bloggers to think that their award was ignored. You are a brave soul, Farida. I feel humbled everytime I visit your blog. Carry on, my friend! A long journey awaits you. We all end up being judgmental about a blogger when we read their posts for the first time,but gradually we get know them and understand them. Your feelings regarding your fathers death showed me another part of your personality which made me respect you more as a fellow human being. I have always loved your strong personality,Farida. Thanks for your amazing comment Juhi. I am so sorry for your loss. I lost my sister and Mom to cancer and had to go through it myself as well. But the more trouble life throws at us the stronger we become. That is how it has been with me. Keep the memories of mother in your heart and she will live through you!